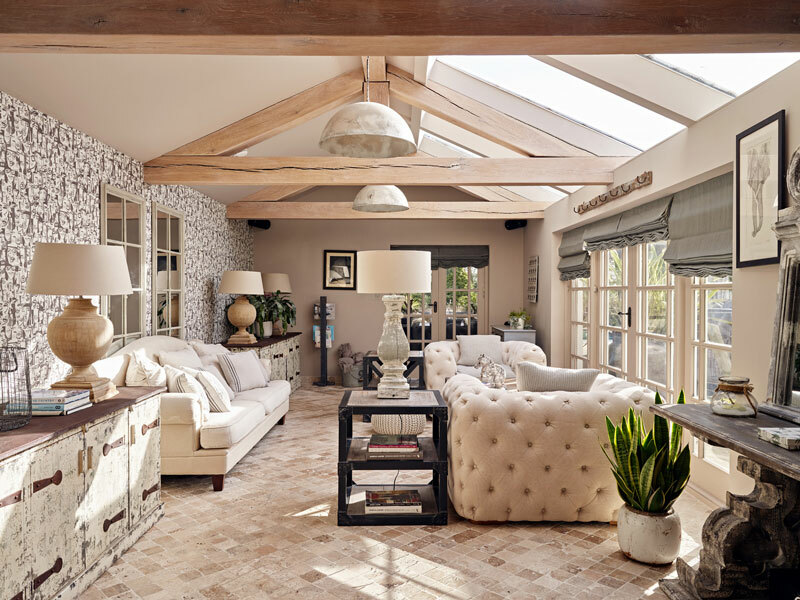 We visited Pearl Villa in Warwickshire to learn more about the vision behind its eclectic interiors. 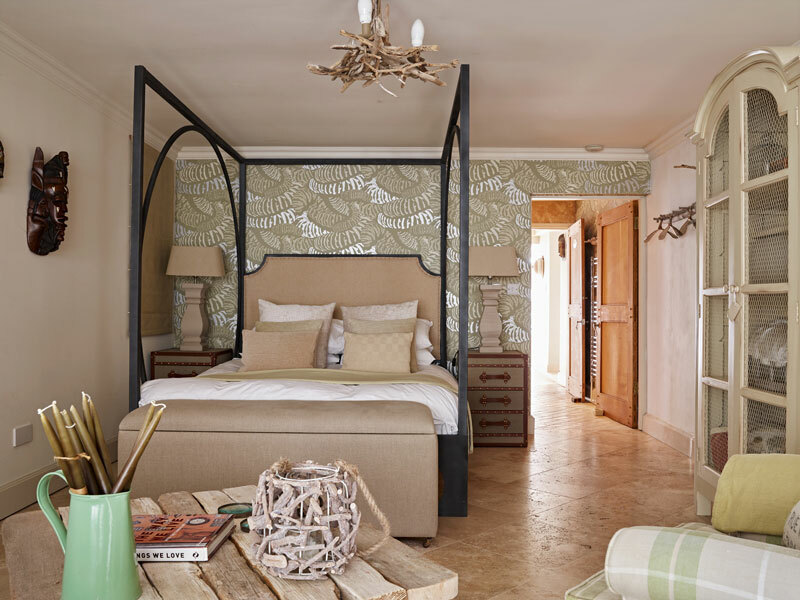 There’s a surprise round every corner; every room has been considered a project, every space an opportunity to impress with something different – whether shabby, contemporary, vintage or a little quirky. This is a house where it all comes together brilliantly. Tell us a little about how this house came to be. OWNER: Pearl Villa was a labour of love designed specifically for the needs of our growing family. We are a busy family with 4 children, 4 dogs and always friends and family visiting and staying. The interior evolved with us, inspired by places we have visited and the numerous Home Interior books and magazines I have studied and read over the years. The house grew as our family did! It will always be our forever house. There seems to be a few different styles throughout certain rooms and spaces. Was it important to have something for everyone, or is there a dominant aesthetic? The large entertainment room, which used to be our main living area, has a slight African feel – again, my husband visited South Africa for work and brought home treasures which inspired the living room and also the Safari suite. I love the vibe – natural furnishings, wood, leather, different textures. The sculpture in this room just sets the theme. We have enjoyed many, many fun evenings in there, mostly all snuggled around the fire. The Sun Lounge is super contemporary and the Spanish wallpaper in here is what sets the theme. I love it! This is my favourite room – I love the light, relaxed furnishings and the memories I have in there. I had the room built when I was expecting my third child. I wanted to have a space for just me and her whilst I was nursing her. I love the shabby sideboards and oversized lamps. It was the furthest room in the house to enjoy Bella all to myself. The Master Bedroom is our WOW room. Every home needs a WOW room! The theme was inspired by an anniversary holiday my husband and I had in Mauritius. Natural limed beams and shabby wooden flooring combined with the luxury of crisp white linen bedding and white linen drapes. The Jacuzzi bath behind the bed was inspired by Hotel Du Vin in Birmingham. A bath big enough for two with views of the formal garden that I personally designed. What are your favourite rooms, features or pieces of furniture, and why? Fave rooms – Sun Lounge and Master Bedroom. I love the light, natural furnishings and relaxed but luxurious furnishings – the perfect combination for me. Where were the furniture and decorations sourced? Everywhere! I spend hours looking at Interior magazines and then sourcing products. Are there any interesting facts/details about the interiors that people might not know about or might want to look out for when staying? I hope my guests are able to enjoy Pearl Villa and feel relaxed when they stay. 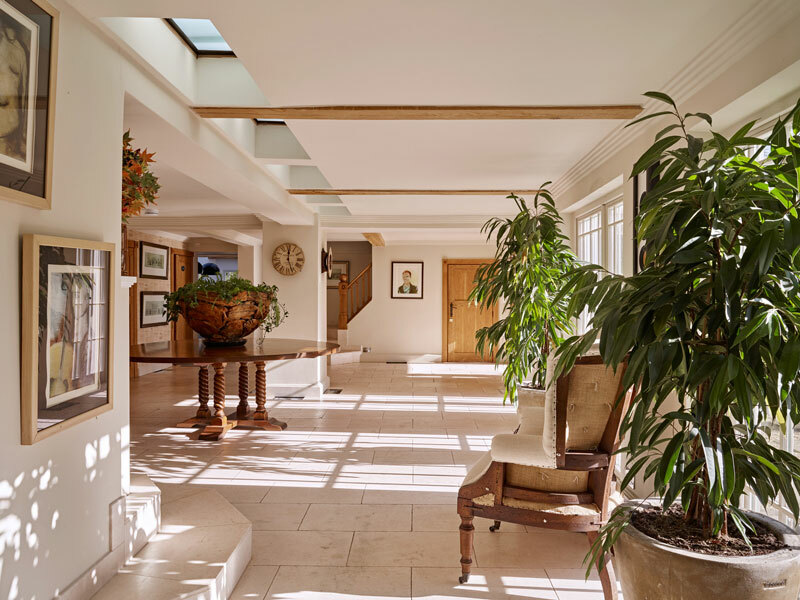 Often big houses, whilst they may be glamorous and impressive, their interiors lack personality. I hope that I have achieved comfortable living spaces whilst maintaining luxury and style. We needed names for our guests to identify the different suites available. Many of the names were obvious to me as they are named after my children who slept in them and a couple of other precious names of people whom I adore. What’s next? Are there any ideas for future projects? Is there another house or property on the horizon? If so, how might it compare to this one? Of course! I have another venue which we are planning right now! A very handsome Georgian mansion in the countryside, which will be designed and prepared for our guests. I’m really excited about this project. I think this property will be the perfect compliment to Pearl Villa, whilst the setting is more relaxed with casual country grounds extending to 12 acres with sheep and my donkey! The house is grand. High ceilings and awesome chunky doorways, but my interiors will be relaxed and inviting. Casual but luxury. I’m really into muted colours, soft linen, squidgy furnishings. Watch this space!